I recently posted Alphabet Assessment Awards, and these Literacy Assessment Awards are the next set of mini awards for showing your students’ progress. 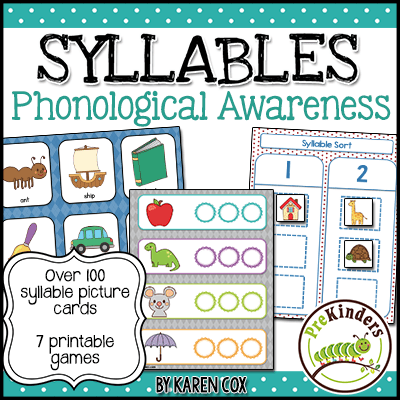 Show children each picture and have them clap the number of syllables in each word and name the number. Circle the pictures they counted correctly. With this assessment, I point to a picture and ask children to tell me a word that rhymes. For example, if I point to frog, the child should say “log” or “hog” or any rhyming word. If a child struggles with naming rhyming words, then I will switch to asking the child to point to a picture that rhymes with that word (example, “show me a word that rhymes with cake” (snake). The first method is more challenging. The second method also works better with children with speech and language difficulties. Circle the pictures they rhymed successfully. On this assessment, I do not show children the pictures. I call out the segmented word to the child and ask them to put the sounds together and tell me the word. For example, I would say “pl … ant” and the child should tell me “plant”. Circle the pictures they blended correctly. They can see the pictures afterwards to see the words they blended. I hope these assessment mini awards are beneficial and fun for you and your students! Be on the lookout for more — a Math assessment set is coming soon! Karen, thank you so much! I truly appreciate your sharing! Thanks, I hope you enjoy them, Maureen! This is FANTASTIC! 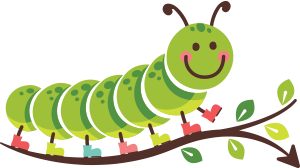 I have used the Alphabet assessment with my preschoolers, and this is a wonderful addition to aid in my assessment of my sweet students. Thank you so much. Thanks so much, Anna! I’m glad to hear the Alphabet set worked for you. I will soon post the Math set. Great idea! Hope to use this in the coming academic session. Thank you so much for this.I am a homeschool mom and I used a lot of you products with my 4 year old daughter and next year i will be using them with my so. So glad to hear they have been helpful, Maryann! Thank you so much for sharing a creative and helpful resource! Your Assessment Awards are GREAT! I just printed all of them and they are perfect for assessing the children and sharing with their families. I’m looking forward to the Math Assessment Awards. I was just introduced to your website, I’m Hooked! Thank you for these aids in assessment. You gave a bright idea of recording children’s learned literacy skills. Now I have a clear record to go back to when completing my DRDP. I have used the Alphabet Assessment and will be using these other three as well. Thanks for sharing your ideas. They lessen my prep time. Thanks, Len! Glad to hear these will help make life a little easier. I have enjoyed your ideas and activities all year. My students love them too. Your site is an asset to me. Thank you very much for all that you have provided for preschool teachers like myself-always in need of good ideas and activities. You have made my lesson planning easy! Thanks, Ivy! I’m so glad the site has been helpful to you this year. These are perfect for my pre-kinder students! Wonderful awards. I translate them into Spanish and the children can learn in a bilingual way. Thank you for sharing.! Thanks for these great tools!! Thank you so much for the assessment forms- they were just what I was needing!! You made my day! I really enjoy your website and make use of many of your tips and ideas! !You are wonderful in my book. Thanks so much! I love these assessments! These are wonderful. They are perfect for my kinder-bears who are in intervention to gain the strengths needed to become readers. They are struggling, but they will love being awarded SPECIAL recognition for skills the rest of the class achieved months ago. thank you for your ideas it was a great help. These are great, I sure hope I will be able to use them next year, my principal wants to move me to 4th grade reading, I don’t want to go and am looking for a district transfer, but these would be great to use if I can. Thanks for all you do. Thank you so much for sharing with me. My parents loved the a,b,c, awards that was given to their child. Your assessment awards are just brilliant! These are wonderful! Such an enormous help! Thank you very much Karen. Your website has been a real blessing to me this school year. So many excellent resources!! !